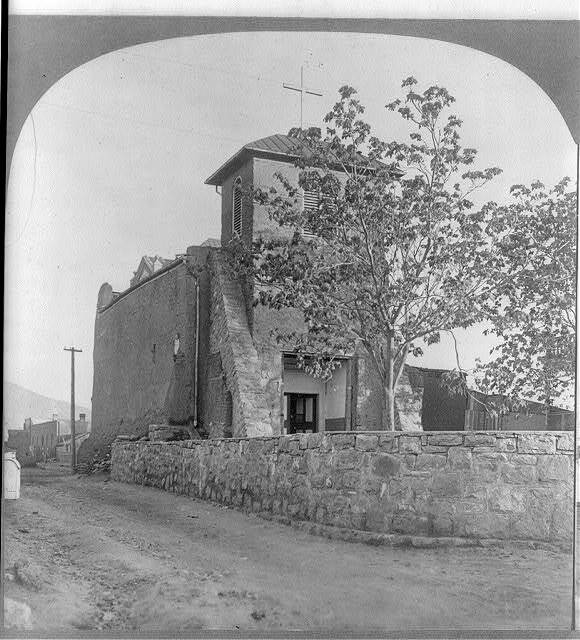 Stereograph showing exterior of San Miguel Mission partially obscured by tree. San Miguel Mission is known as the oldest church in the US. This stereograph card was taken in 1909 and is part of the Stereograph Cards Collection at the Library of Congress.